Since 2016, comic book veteran Jeff Lemire has been building a superhero universe of his own. At Dark Horse Comics no less, which has never been as big on capes and tights as other curiosities — a direction I think has served the publisher quite well since it opened its doors in 1986. 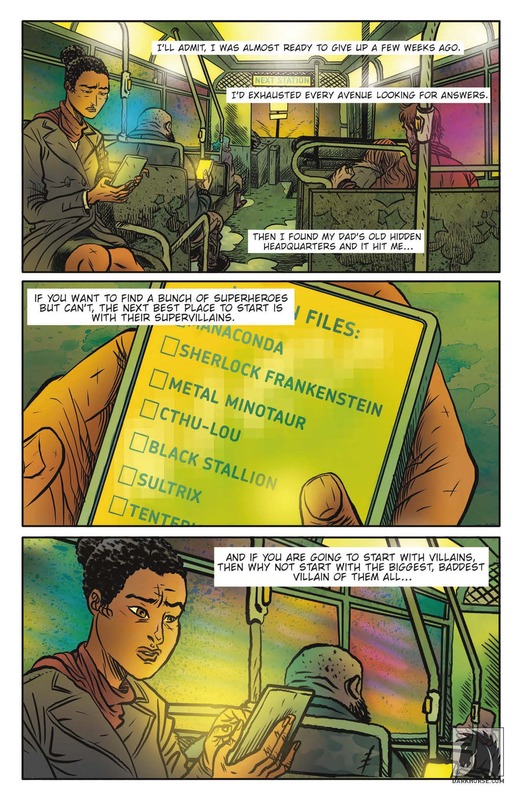 But Lemire’s Black Hammer series, about a group of superheroes trapped in a sort of sleepy purgatory they can’t escape, fits the publisher’s mold of weirdness quite well. So well in fact that there’s already a spinoff series. 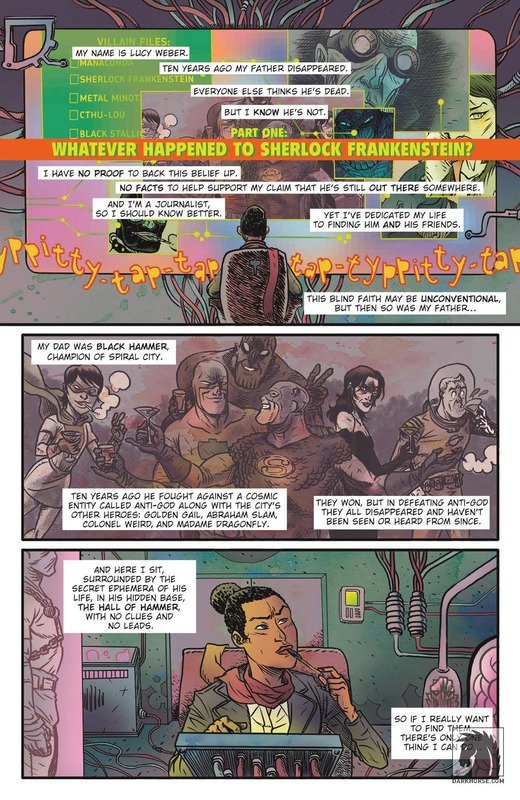 If the main Black Hammer series is about the lost heroes trying to find their way back home, then Sherlock Frankenstein and the Legion of Evil is about the home and loved ones they left behind. And the villains, too. It’s clear from the first issue of this miniseries that Lemire has quite a bit of story to tell, as he hints at things that happened in the heroes’ pasts that he could flesh out in the future. There’s not much he addresses head on here. 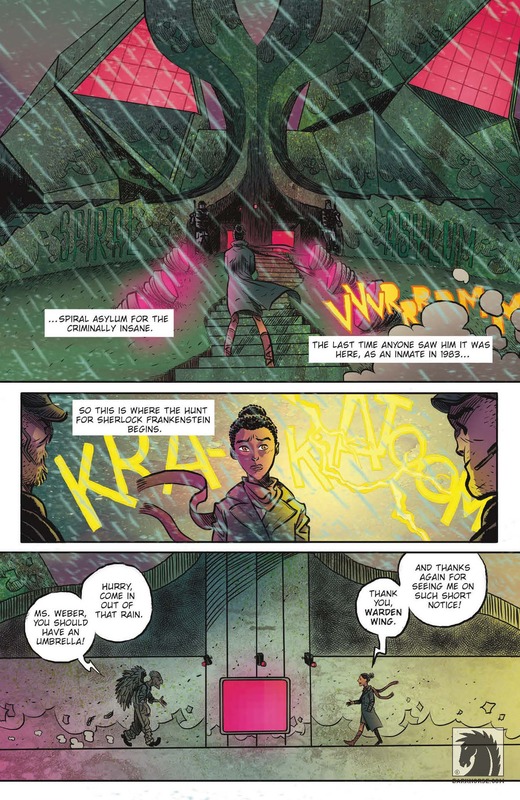 At the center of this spinoff is journalist Lucy Weber, daughter of the long lost Black Hammer, as she investigates the whereabouts of her father. 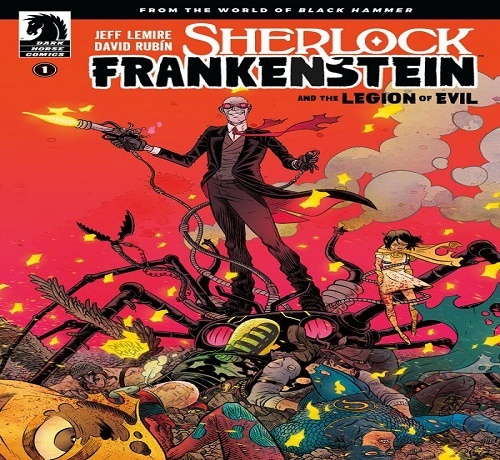 Lucy believes his archnemesis, Sherlock Frankenstein, a grotesque looking mad scientist, might hold some kind of clue to finding her dad. Of course, it’s not as easy as knocking on Mr. Frankenstein’s door. The villain has vanished without a trace. Like with the main series, there are quite a few nods to the Big Two, including a hero that clearly apes Hawkman. 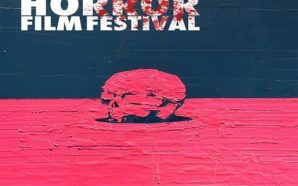 There’s also one setting in the story that might be a little too familiar for comfort, as Lucy tumbles down a rabbit hole of bad guys and the criminally insane. 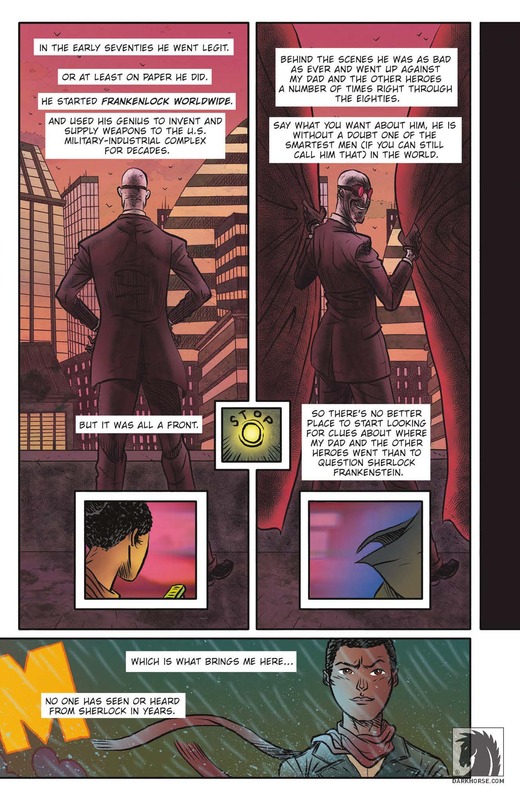 If Lemire’s mission is to deconstruct the superhero comic, then he’s using tons of recognizable sights to do so. Still, the ideas are fresh, even if the setup for this story is one we’ve seen a billion times before in Batman comics. Lucy’s world — the real world — is in stark contrast to the world of the heroes she’s searching for. It’s a modern setting that’s clearly moved on from the age of superheroes and villains. After the fight with Anti-God, things have sort of gone normal. Not that that’s improved the world. There’s a sense of melancholy for a lost golden age that Lemire builds up to throughout the issue. The memory of these lost heroes is always lingering and not just in Lucy’s head. David Rubin is in charge of bringing this new world to life, and he does a fine job. 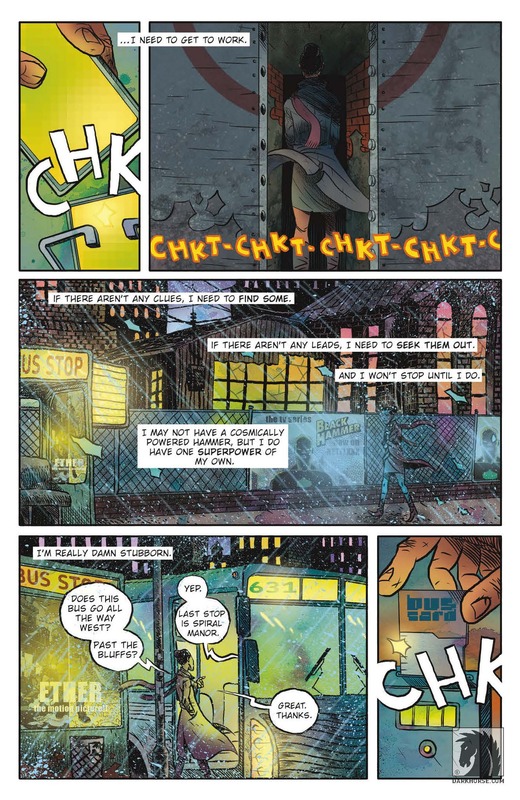 He brings a different look and feel to the story’s city setting, and clearly gets to play with a lot more detail than Dean Ormston on the decidedly more rural main book. He also gets to draw way more heroes and villains, which he has a lot of fun with. Concretestador is this universe’s analog to The Thing while Grimjim is a sort of cross between Killer Croc and Victor Zsasz. 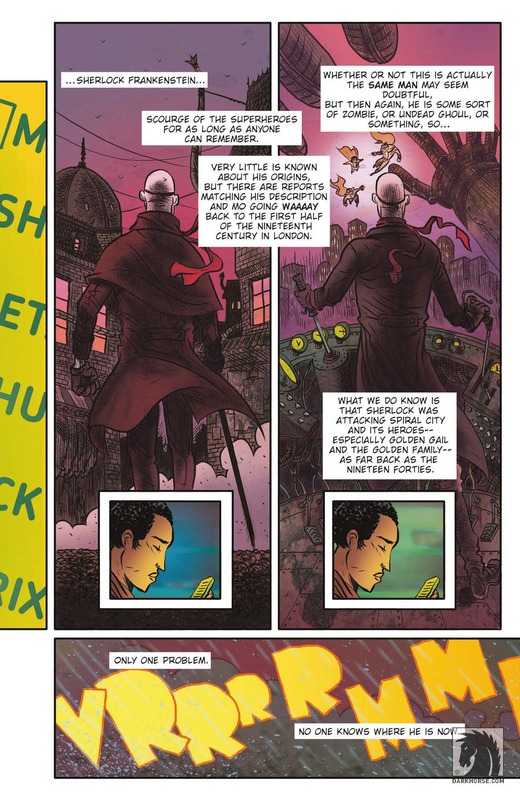 After only one issue of Sherlock Frankenstein, it’s clear that there’s still so much to unpack in this universe. Lemire deals with insinuations and hints, not any definite answers. Like Mike Mignola with the Mignolaverse, Dark Horse’s prized fictional universe, Lemire is clearly going to take his time to tell this story of lost heroes on the loved ones who long for them.